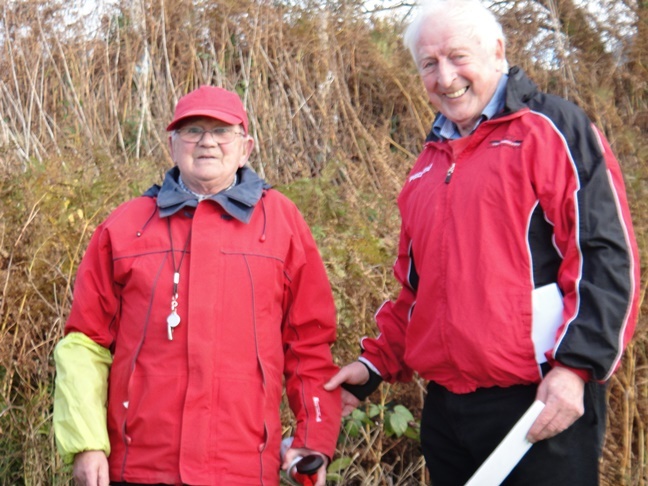 Bertie Knowles was presented with a well earned award from Club President Charles Gains at Beacon Park on 25th October 2014 in recognition of his long service not only to our club but to athletics in general. The award was presented to Bertie just prior to the start of the first L&D of the season. Bertie was warmly applauded by all the athletes and officials. Bertie a much liked official is a regular at most local events acting in his capacity as a starter, a role he first undertook in 1991 after injury forced him to hang up his running shoes. 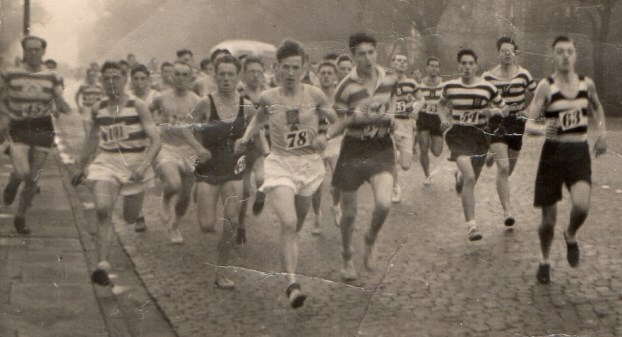 However his involvement with the sport goes back much longer, he began his his running career as as a 12 year old with his local Boys Brigade with whom he ran for a few years before graduating to Waterloo Harrier, Bertie remained with Waterloo until mid 1970s when he joined Sefton Harriers after Waterloo amalgamated with Southport, so he been a member of our club now for nearly 40 years which puts him in an exclusive club.